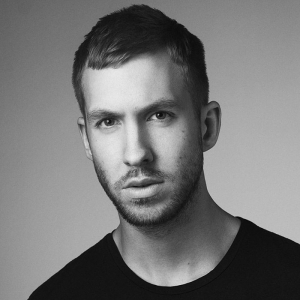 Adam Richard Wiles (born 17 January 1984), better known by his stage name Calvin Harris, is a Scottish DJ, record producer, singer, songwriter and remixer. His debut album, I Created Disco, was released in 2007 and was the precursor to his top-10 singles "Acceptable in the 80s" and "The Girls". In 2009, Harris released his second studio album, Ready for the Weekend, which debuted at number one on the UK Albums Chart and earned a gold certification from the British Phonographic Industry within two months of release. Its lead single, "I'm Not Alone", became Harris's first number one on the UK Singles Chart. Harris rose to widespread international prominence in 2012 with the release of his third studio album, 18 Months. Topping the UK charts, the album became his first to chart on the Billboard 200 in the US, reaching number 19. All eight of the album's singles; "Bounce", "Let's Go", "We'll Be Coming Back", "Sweet Nothing", "Drinking from the Bottle", "I Need Your Love", "Thinking About You" and "Feel So Close", along with "We Found Love" reached the top 10 of the UK Singles Chart, making it the first album in history to have eight top-10 singles. Harris has collaborated with numerous other recording artists, including Kylie Minogue, Rita Ora, John Newman, Florence Welch, Ellie Goulding, Ne-Yo, Cheryl Cole and Gwen Stefani. His collaboration with Rihanna led to two singles, "Where Have You Been" and "We Found Love". The latter became an international success, giving Harris his first US number-one single on the Billboard Hot 100. Harris released his fourth studio album, Motion, in November 2014. It debuted at at number two in the UK and number five in the US, and became Harris's second consecutive number-one album on the Dance/Electronic Albums chart. The album's first three singles—"Under Control", "Summer" and "Blame"—all topped the UK chart, giving him seven UK number-one singles. Harris holds the record for the most top-10 hits from one studio album on the UK Singles Chart with nine hits, surpassing Michael Jackson. In October 2014, he became the first artist to place three songs simultaneously on the top 10 of Billboard's Dance/Electronic Songs chart. He also become the first British solo artist to reach more than 1 billion streams on Spotify. Harris has received seven Brit Award nominations—two for Best British Male, and four Grammy nominations, winning a Grammy for Best Music Video in 2013. He received the British Academy's Ivor Novello Award for Songwriter of the Year in 2013 and at the 2015 Billboard Music Awards was named Top Dance/Electronic Artist. Additionally, Harris topped Forbes‍ '​ list of the world's highest-paid DJs for three consecutive years from 2013 to 2015. Harris also runs his own record label Fly Eye Records.